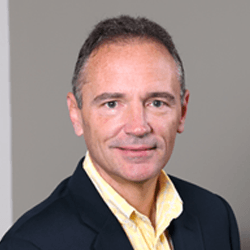 Joe Vance brings to his affiliation with SOAR Performance Group over 23 years of experience in Sales Effectiveness with a focus on enabling technology. Joe has held several positions as VP of Sales, VP of Strategic Accounts, Director of Consulting, VP of Sales Operations, Adjunct Professor and business owner where he has honed his skills and delivered results by eliminating the disconnect between the sales process and human actions with the tools of technology. He is also a Salesforce.com certified Developer, Advanced Administrator and Sales Cloud Consultant. As Practice Leader of Sales Effectiveness Technology, Joe enables SOAR clients to optimize their sales methodology and sales process to achieve the next level of business results and predictability by harnessing the power of CRM technology. Joe has a passion for bridging the gap between sales & account management processes with enabling technologies to design, develop, implement and support CRM solutions that maximize long-term sustainability and efficiency. Joe enjoys the challenge of helping companies achieve success and results with their CRM technology. Prior to affiliating with SOAR, Joe has spent much of his career in Fortune 500 companies Adecco and Hewlett-Packard, exercising his skills in sales effectiveness. Joe served and an Adjunct Professor at Colorado Technical University and supported the Defense Mapping Agency on technology for satellite sensing systems. Joe has a Master of Science in Management from Colorado Technical University and a Bachelor of Science in Geological Sciences from Virginia Polytechnic Institute and State University. In addition, Joe also graduated from the University of Maryland’s Executive Leadership Development Program.